A good cup of coffee is an excellent way to start your day. Whether you need your caffeine kick to crush the morning rush or want to relax with a delicious latte while flipping through an old book, Indy offers many exceptional coffee places. 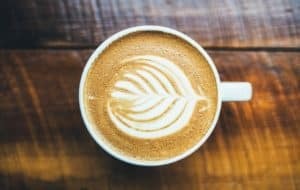 Here is a little guide to find the best coffee in Indianapolis. Since 2009, Doug and Judy Litsey and their son Jeff have been serving excellent coffee to customers at this homely shop. With beautiful decor, free parking, and high-speed Wi-Fi, Fletcher’s is a not-for-profit company that donates 100 percent of its profits to community causes. You should try out their famous Calvin pepper cappuccino with honey and cayenne and a host of other awesome flavors. The staff is friendly and courteous, and they will give you a discount if you come with your own mug. For a delicious cup of coffee and sweet pastries in a welcoming environment, Fletcher’s place is a neighborhood favorite. There are few coffee places in Indianapolis with the expertise and reputation of Bee Coffee Roasters. The shop is famous for its perfect roast coffee which you can buy at numerous shops and restaurants. Owners Andy Gilman and BJ Davis are two of the most authoritative voices on coffee matters, and a taste of their coffee proves they know more than a few things on brewing the delicacy. Whether you want a satisfying latte, need brewing tips, or want a satchel of the best coffee in town, there is something for everyone at Bee’s. Located in a red and black shop in Old Northside, Foundry Provisions serves coffee, pastries, salads, and offers a bubbling atmosphere to hang out with friends. Originally a metal workshop for the Herro School of Arts & Design, the building now hosts coffee meetings, high school students, and is top on the list for local latte lovers. Not only will you find spectacular coffee from Julian Roasters, but there is also Shapiro’s Delicatessen bagels and Circle City Sweets in the shop, among other treats. Rick Hubbard and Jerry Cravens opened their first retail shop 25 years ago. The duo stocks seasonal, responsibly raised artisan coffees and teas, and they are one of the leading roasters and wholesalers in the local coffee scene. They have several locations all over town where you can order different flavors of coffee, tea, juice, wine, and even smoothies. Milktooth operates out of a former auto repair shop but its coffee is like nothing you’ve tasted before. The shop offers a wide range of flavors from multiple brands and the originality of their brews will leave you intrigued. There is an industry-leading barista station to serve you everything you want in a cup of coffee. Try out one of their unusually satisfying espressos with a tinge of rosemary, cola, pepper, or lemon. The combination of flavors is so surreal.